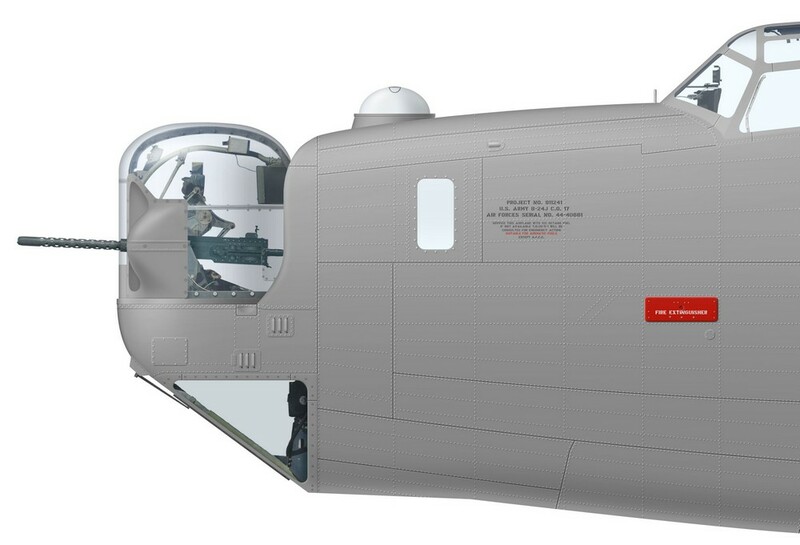 I’ve made more progress on the B-24 template. The turrets are now in place and most of the fuselage lines and riveting have been added. Of course, since this is a B-24, it means I’ll have to change them eventually. I believe this is the most complex aircraft I’ve ever had to do. Interestingly, almost all existing B-24 blueprints are wildly off. With nearly 20,000 Liberators built, there are of course plenty of wartime photos of B-24s but with the staggering number of Liberator variations, that is as much a curse as it is a blessing !